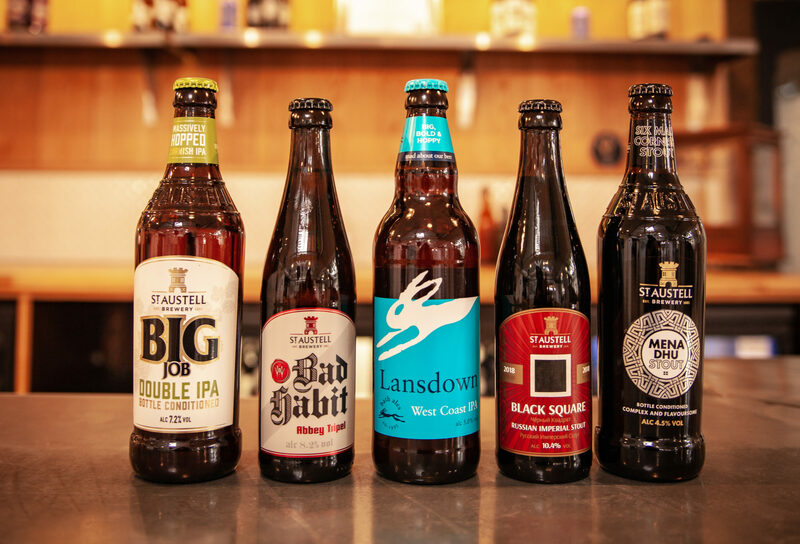 St Austell Brewery and Bath Ales – which became part of the St Austell Family Group in 2016 – have been awarded a total of five medals at the prestigious International Brewing Awards. Established in 1886, it is the oldest brewing competition in the world and widely thought of as the Oscars of the beer industry. It’s a record haul for the independently-owned St Austell Brewery, which also took home its first gold medal for Russian Imperial Stout, Black Square – first brewed in collaboration with Moscow’s New Riga’s Brewery. As well as taking home gold for Black Square, St Austell Brewery was awarded silver for Bad Habit Abbey Tripel and bronze for Mena Dhu stout and Double IPA, Big Job. Lansdown West Coast IPA, one of Bath Ales’ latest brews, was awarded a silver medal. The brewer’s flagship amber ale, Gem, previously took home a gold in 2014. The competition, which attracted entries from over 200 breweries and cider mills from around world, was judged by an international panel of 50 judges. More than 1,000 beers and ciders, from 50 countries, were submitted for judging which took place over an intensive three-day period. Judging categories ranged from ultra-low ABV beers to high-strength styles, showcasing the versatility and variety found in modern-day brewing. Roger Ryman, Brewing Director at St Austell Brewery and Bath Ales says: “We’re delighted, and very proud, to win a gold medal at this year’s International Brewing Awards – something which has been a personal goal of mine since joining St Austell Brewery twenty years ago.